﻿ Best Price on Paradise House in Bayahibe + Reviews! Surrounded by tropical plants, this charming 2-bedroom villa is situated a 5-minute walk from Bayahibe Beach. 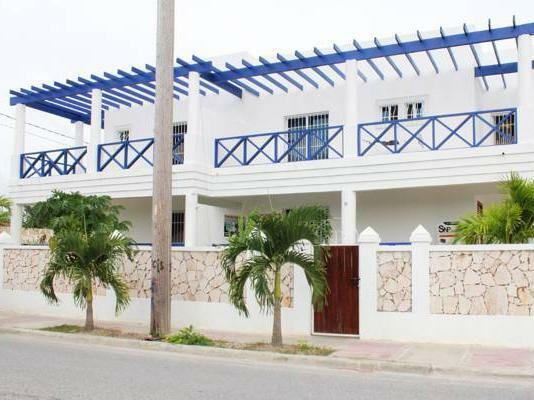 Paradise House offers a fully equipped kitchen and 3 terraces with garden views. This Caribbean-style villa is decorated in elegant white and features air conditioning. It offers 3 bathrooms and a spacious living-dining room with a sofa bed. The kitchen includes a stove, fridge and coffee machine. Paradise House offers free on-site parking and information about the surrounding area. You can visit the Del Este National Park, less than 10 km away. National and international restaurants can be found within a 5-minute walk of Paradise House, while Bayahibe town centre is a 10-minute drive away. La Romana International Airport is a 20-minute drive away.